Cruise ships catering to the rich and famous are being targeted by pirates demanding huge ransoms for the lives of their hostages. 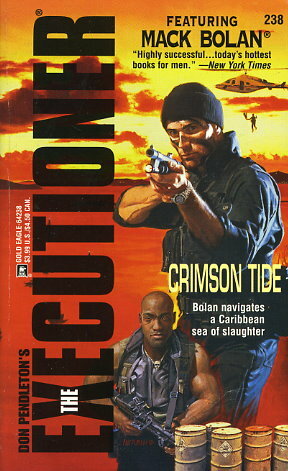 Mack Bolan deals himself into the game in Jamaica where he negotiates the release of innocents with enemy blood. But he also discovers a wild card in a deadly hand of global disaster involving a cargo of toxic waste, the Yakuza and a cutthroat businessman.